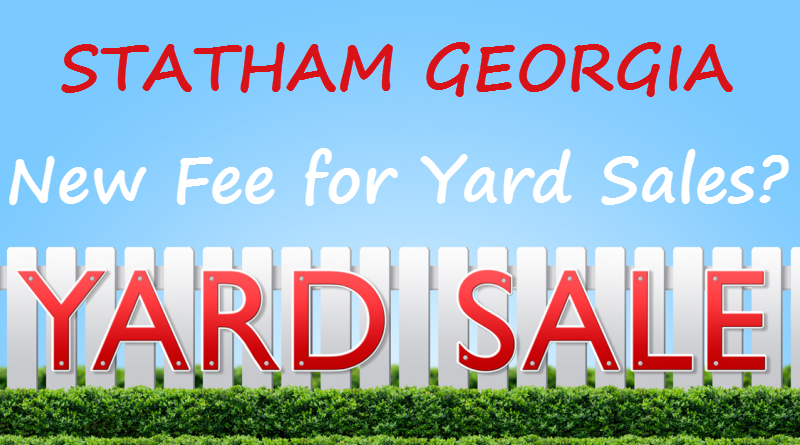 If you have a yard sale at your Statham home more than once every 6 months, you might end up having to pay a $75 business license fee. That’s what The City of Statham is proposing. Several members of Statham City Council aren’t worried that city residents are having yard sales, but the number of yard sales happening at the same residences is a concern to them. Council approved on first reading Tuesday a proposed ordinance that limits how many yard sales can be held at a household over the course of a calendar year and puts other regulations in place. Under the draft ordinance, which city attorney Thomas Mitchell said is based off one used by Locust Grove in Henry County, city residents would only be able to hold one yard sale at their home every six months without having to pay a $75 business license fee. Residents and civic, church or nonprofit organizations would have to obtain a permit from the city every time they want to have any type of yard or garage sale, and sales could not be held on commercial property or public-owned property within the city unless the event was sponsored by the city. Permits would be free, but would still be required to help keep track of those who obtain them. Opinions on this are varied. Some think this is just the City of Statham being ‘greedy’ – others are genuinely concerned over the number of yard sales some individual home owners are having on a regular basis and traffic/parking concerns.